Illustrations, Sketchbook & Life Drawings. Inside the Looking Glass: Self and the World in Virtual Reality. *This site is web-friendly, best seen at 1280×800px, not mobile-friendly as of yet. I am currently trying to make it all-around-friendly. As our ability to design biologies advances, so does the role of the designer in these living systems. 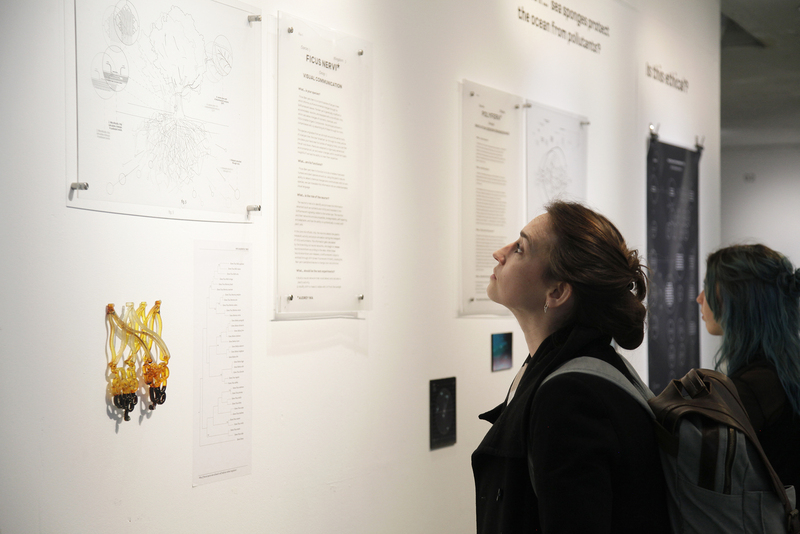 This exhibition explores the potential applications of synthetic neurobiology to natural systems - speculating on the ways in which such technologies could manifest, and using design to open wider conversations surrounding authorship, ownership and ethics. Synthetic neurons are best applied as sensors, and a biological interface between us and the plant kingdom. They are uniquely capable of being biocompatible, biodegradable, self-repairing and adaptable. 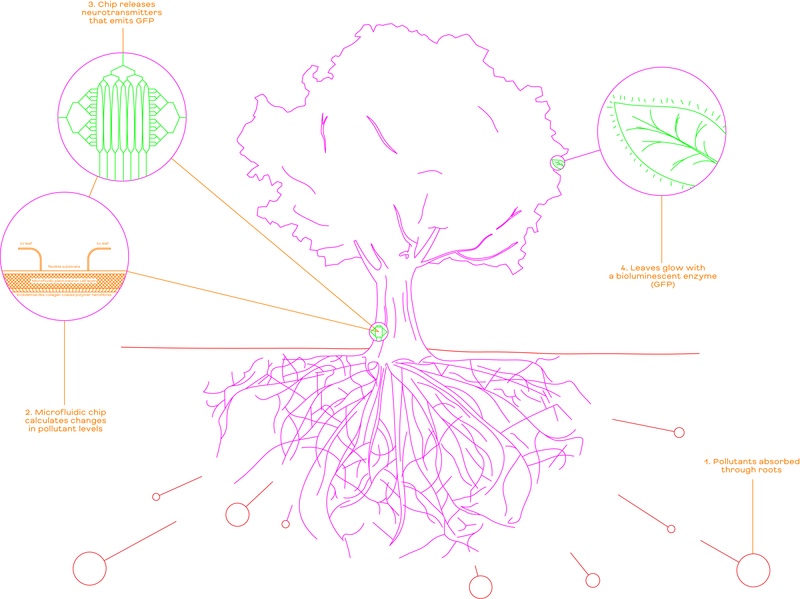 Our grove of futuristic plants include pollutant-sensing sea sponges to detect xenobiotic particles, UV-radiation detecting algae, and a communications interface that translate plant turgor movement, subsonic vibrations and plant hydraulics into an understandable visual language. 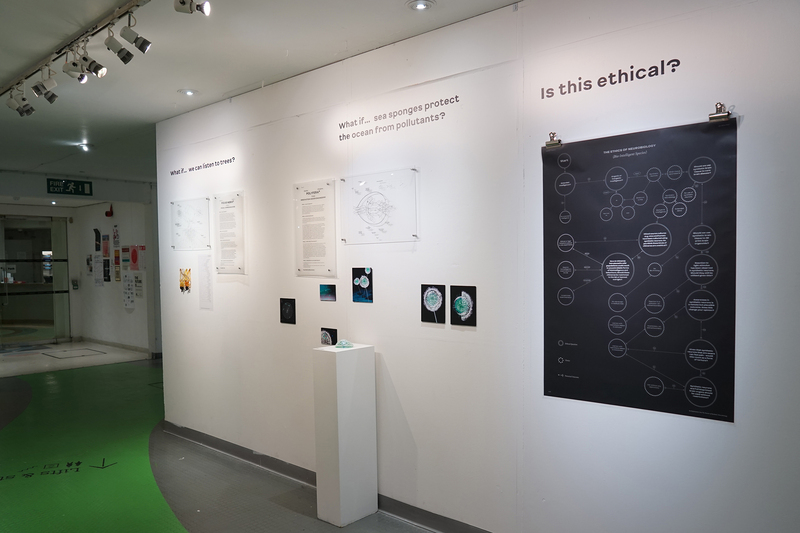 In our exhibition, we’ll include physical prototypes of these species, visuals of how they work, ethical considerations of using organic biomaterial as a design material, and a narrative following illustrated “what ifs” of a world where plants and neurons become hybrid. PROJECT COMPLETED WITH KATE STRUDWICK, ANDREW EDWARDS, PIERRO D'ANGELO, DAVIN BROWNER CONATY. 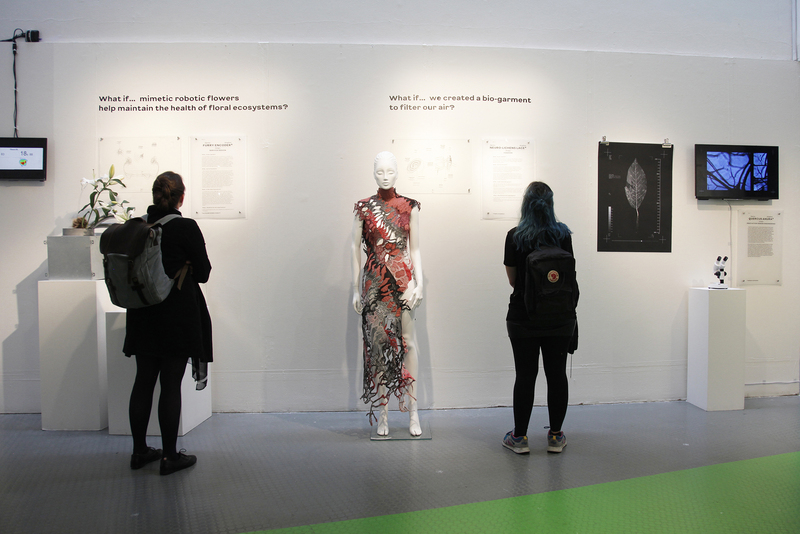 BioIntelligent Species is a cross-disciplinary student-led project, facilitated by the RCA-IIS Tokyo/London Design Lab. In October 2017, the RCA-IIS Design Lab held and AcrossRCA workshop entitled 'BioIntelligent Species'. 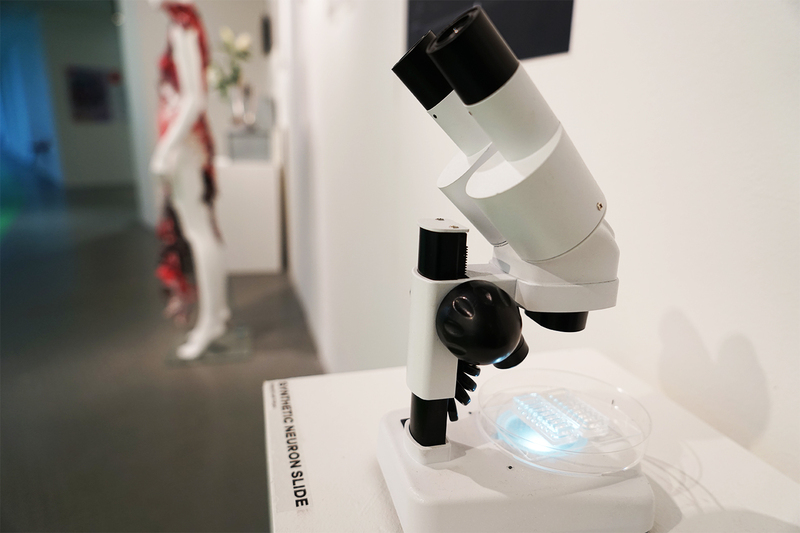 This workshop was built on the findings of a previous collaboration between the Design Lab and Ikeuchi Lab, exploring the future of Bio-Intelligence. Following the workshop, 5 students were selected to continue to collaborate with Ikeuchi Lab to explore the future of Synthetic Neurons from a design perspective. Contributing input from from their respective programmes (Innovation Design Engineering, Fashion, Service Design, and Visual Communication) the students were encouraged to draw from their own practice and expertise throughout the process. Ficus (Ban-yan) Nervi is a hybrid species of banyan trees which informs us of environmental changes through its biofluorescent leaves. The plant's function is function is to be a mediator between humans and plant species around us. 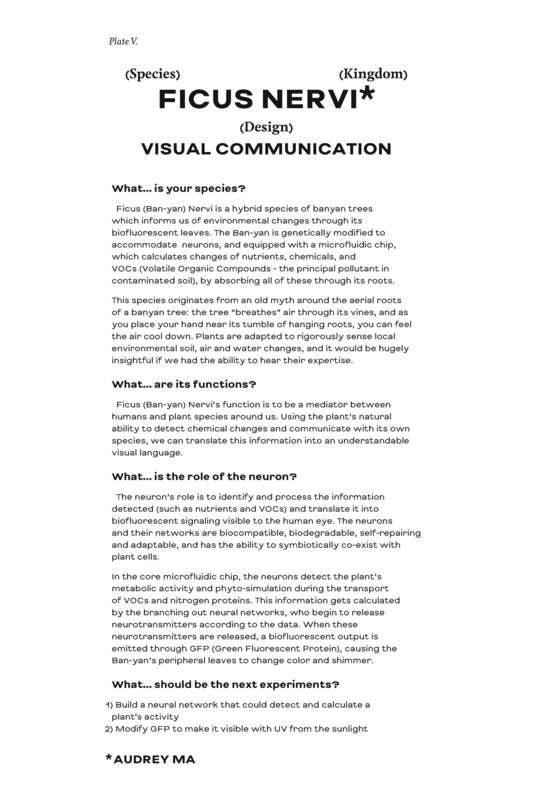 Using the plant’s natural ability to detect chemical changes and communicate with its own species, we can translate this information into an understandable visual language. This species originates from an old myth around the aerial roots of a banyan tree: the tree “breathes” air through its vines, and as you place your hand near its tumble of hanging roots, you can feel the air cool down. Plants are adapted to rigorously sense local environmental soil, air and water changes, and it would be hugely insightful if we had the ability to hear their expertise. 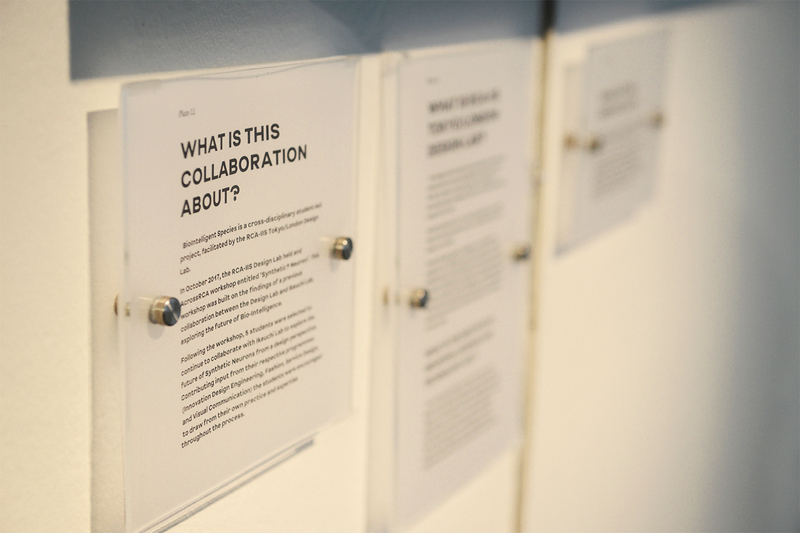 I used acrylic plexiglass with exhibition text printed on these sheets and used exhibition screws to mount them. The acrylic's transparency and durability reflects the quality of microscopic slides. For the species headings, I used Hokkien font designed by Angelo Stitz. The language of the headings is intended to seem explorative and inquisitive. There is a tendency to believe that science holds all facts, and rational hypothesis becomes the truth. However, science can be just as investigative as design methods. I wanted visitors to see that these are ongoing interrogations, questions to be explored. Therefore, all the titles are posed as a series of inquiries. The neuron’s role is to identify and process the information detected (such as nutrients and VOCs) and translate it into biofluorescent signaling visible to the human eye. The neurons and their networks are biocompatible, biodegradable, self-repairing and adaptable, and have has the ability to symbiotically co-exist with plant cells. In the core microfluidic chip, the neurons detect the plant’s metabolic activity and phyto-simulation during the protein transport of VOCs (Volatile Organic Compounds - the principal pollutant in contaminated soil) and nitrogen. This information gets calculated by the branching out neural networks, who begin to release neurotransmitters according to the data. When these neurotransmitters are released, a biofluorescent output is emitted through GFP (Green Fluorescent Protein), causing the Ban-yan’s peripheral leaves to change color and shimmer.